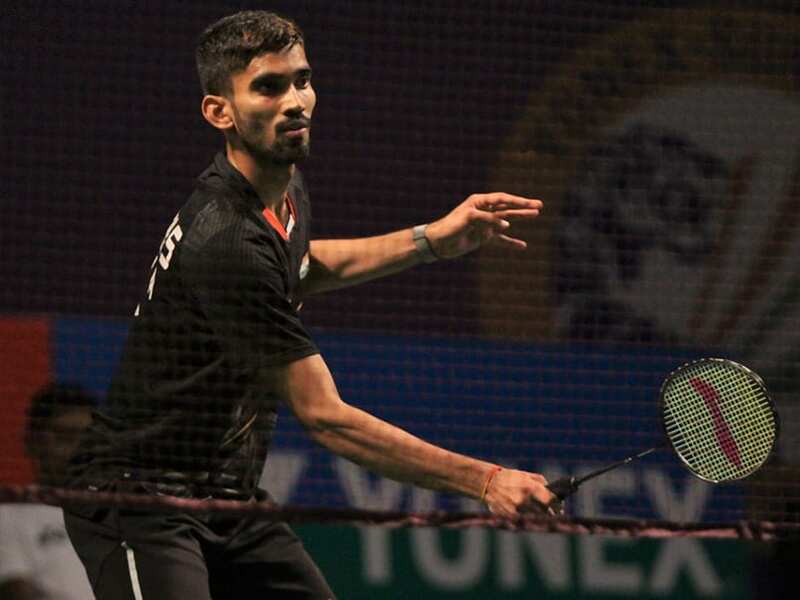 India's Subhankar Dey produced the biggest upset of the Yonex-Sunrise India Open so far, knocking out fourth seed Indonesian Tommy Sugiarto, while former champions PV Sindhu and Kidambi Srikanth also progressed to the second round in New Delhi on Wednesday. HS Prannoy, B Sai Praneeth, Sameer Verma and Parupalli Kashyap were some of the others who progressed to the men's singles second round. Riya Mookerjee, one of the young generation of India's shuttlers, also beat her Thai opponent to progress to the second round. The biggest result of the day from an Indian perspective was however unseeded Subhankar, ranked 44th in the world, eking out a stunning 14-21 22-20 21-11 triumph over world number 9 Sugiarto. "It was a very tough match. Last time I played him in New Zealand was really easy for him. I really played well," said the 25-year-old Subhankar from Kolkata, who does not have any personal coach or physio and plays in the Danish League for Greve Strands Club. "I gained a lot of confidence after Swiss Open. I played the quarterfinal there. I beat Jonatan Christie. Tommy is the fourth seed and top-10 player, so it is one of my top wins," Subhankar said. 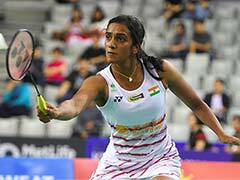 Earlier, Sindhu, who reached the finals in the last two editions and won the title in 2017, brushed aside fellow Indian Mugdha Agrey 21-8 21-13 in women's singles, while Srikanth recorded his fourth successive win over Hong Kong's Wong Wing Ki Vincent with a 21-16 18-21 21-19 triumph in men's singles. Prannoy also showed good signs of recovering from a gastro-esophageal reflux disease that troubled him last year, notching up a come-from-behind 14-21 21-18 21-14 win over Thailand's eighth seeded Kantaphon Wangcharoen. Fifth seed Sameer Verma beat Denmark's Rasmus Gemke 21-18 21-12, while Riya Mookerjee shocked Thailand's Phittayaporn Chaiwan 21-17 21-15 to set up a meeting with Denmark's eighth seed Mia Blichfeldt, who knocked out Rita Thaker. "It was comparatively easy for me. Now its time to focus on next match. After All England, I have worked on mental aspect as well physically," said Sindhu, who will play Hong Kong's Deng Joy Xuan next. Swiss Open finalist B Sai Praneeth recovered from a first-game reversal to outwit compatriot Kartikey Gulshan Kumar 22-24 21-13 21-8 to also enter the second round. After opening the first game, third seed Srikanth erased an 11-17 deficit to make it 18-19 but could not stop Vincent to bounce back into the contest. In the decider again, the Indian was trailing 1-7 before he equalized at 8-8 with the crowd rooting for him. Vincent again ran up a 17-11 lead with Srikanth committing simple errors but the Indian recovered in time and grabbed two match points with a precise return and sealed it when the Hong Kong shuttler went wide. "I have played him 4-5 times after Asian Games. He played well in second and third game. I am happy I could pull it off. I made too many simple errors in the decider. 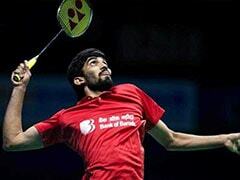 We have to be ready for such a fast-paced game," Srikanth said. Prannoy had missed a lot of tournaments last year due to the gastro-esophageal reflux disease. He would enter an event and find it difficult to breath properly in long matches but he seemed to have recovered well. "I have been consulting doctors in the United States," said Prannoy after the match. "I can say it has helped me stand in the court right now. Probably 80% of the things have fallen in place. There are areas I have to focus on like the diet plan that has been given to me. I should be much better comparatively in the next 4-5 months." Parupalli Kashyap dropped the first game against his opponent, Hong Kong's Lee Cheuk Yiu, but came back to win the tie 14-21, 21-18, 21-10. Former champions Ratchanok Intanon and Li Xuerui made a good start to their respective campaigns. The fourth-seeded Intanon, who is eyeing a third title at this prestigious event, comfortably beat India's Sai Uttejitha Rao Chukka 21-9, 21-6. London Olympic gold medallist Xuerui, the winner of this tournament in 2012, overcame a tough opponent in Nitchaon Jindapol with a 21-17, 21-11 win. Third seed He Bingjiao needed 30 minutes to dismiss India's Prashi Joshi 21-12, 21-15 and was joined by her compatriot Chen Xiaoxin following her 21-15, 21-11 victory over Yulia Yosephin Susanto.